A content storm that is. What am I referring to you ask? Well, as I’m sure you can tell, it’s been quite awhile since there has been any new content on here, and this news I’m about to share is one of the main contributors to that. We have a new series that will begin releasing soon; in a few days to be exact! Now, I say new series and after seeing the image for this article, some of you will say, “New? Renegades? But haven’t you already made that series?”. Well, yes, but we’ve remade it, and it’s 1000 times better. So, when is this “new” (there, I put quotes; better?) series slated to begin releasing? Renegades will begin releasing Thursday, January 24th (this coming Thursday!) between 2:00-3:00pm EST and will continue releasing on a weekly schedule at that time for the next 5-6 weeks on our YouTube channel. This series has been in production for quite some time now (over a year, but who’s keeping track?) and I’m sure I can speak for all those that have been involved in saying that we are all extremely excited to release this after all the hard work we have put into it. A collective work of over 20 people, this is some of the best stuff we’ve ever put together in terms of quality, and we can’t wait for you to see it. 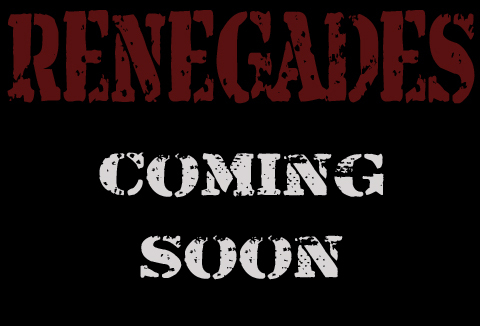 Stay tuned here, as well as our YouTube, Twitter, and (our newly created) Facebook pages for more info on the new Renegades. We hope that you all enjoy what we have put together. See you Thursday. Want to join the discussion on Twitter? Be sure to use the #ntpRenegades hashtag as well as follow @NukeTacoProd to stay in the loop!